The background image shows a meteor near the top left and the horizon at the bottom. A red arrow shows the direction of travel. The inset is a larger version of the meteor. 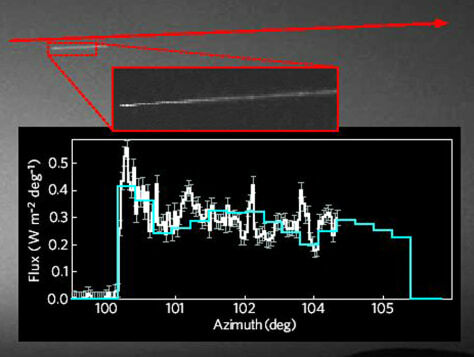 The graph is a "light curve" that aided in tying the meteor to Comet Wiseman–Skiff.